We’ve been lucky enough to have visited Paris 3 times in the last 3 years, and along the way we’ve accumulated a great list of our favorite spots. While we could hit you with everything we’ve ever done in Paris, we’ve kept this post specific to our most current trip, listing out all of the places and things we did. Since travel is so often based on season and weather, this post would look a lot different if it were spring or summer. We’re also only sharing places and things that we have done, so if you see something amazing missing from the list, please feel free to share. We’re always looking for more recommendations, too! So here is our list of our picks of where to stay, what neighborhoods to visit, restaurants and cafes, activities and great photo spots. In my opinion, the best option for accommodations in Paris is renting an apartment and tricking yourself that you’re a Parisian for the week. Obviously there are some incredible hotels in Paris and it is such a wonderful treat to have room service and the amenities that come with that option. If you go the apartment route, we highly recommend One Fine Stay, as we’ve had wonderful success with both apartments we’ve rented from them. Whatever you decide on, make sure you choose your neighborhood wisely. When we stay in big cities, we love being able to walk as much as possible. This last stay in St. Germain we walked almost everywhere. 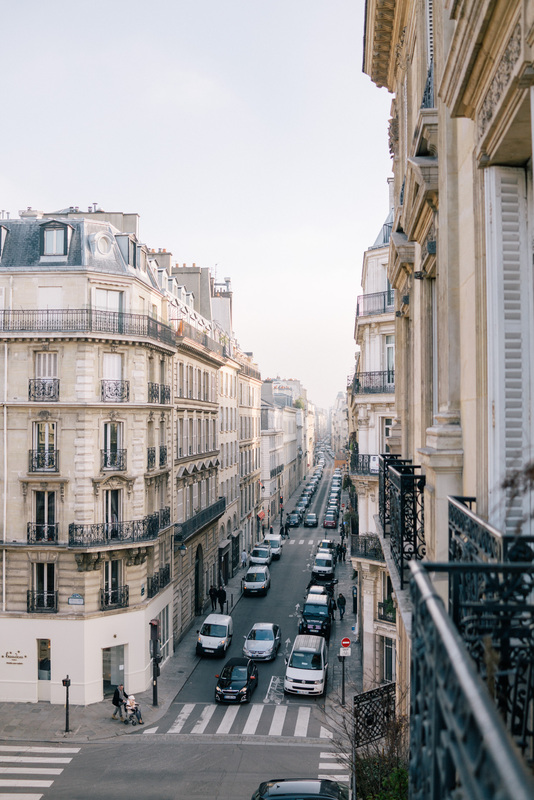 We’ve visited a ton of arrondissements in Paris and we’ve narrowed that list down to five of our favorites. To me, a great neighborhood is walkable, it has great options for food, beautiful architecture, shops to pop in to and parks or museums. 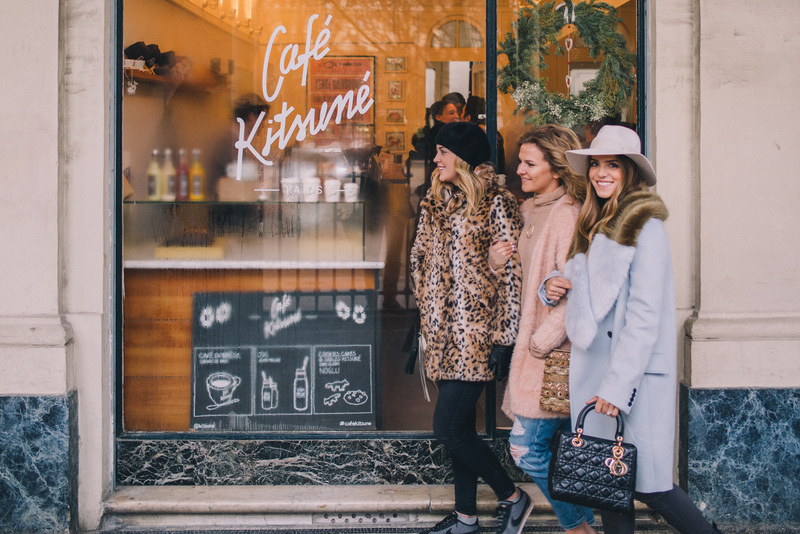 St Germain– This has become our favorite neighborhood, mainly for the proximity to so much and how much is has to offer with restaurants and shops. I could easily get lost for hours just wandering into every cute boutique that catches my eye. Le Marais– Delicious restaurants with lots of variety, great shopping and Place Des Vosges. We spend a lot of time here when we’re in Paris. Montmarte– Some of the best views of Paris, gorgeous stairs and alleyways, winding streets up and down the hills of the neighborhood and artists out displaying all of their work. Beware that there are a lot of tourists over here. 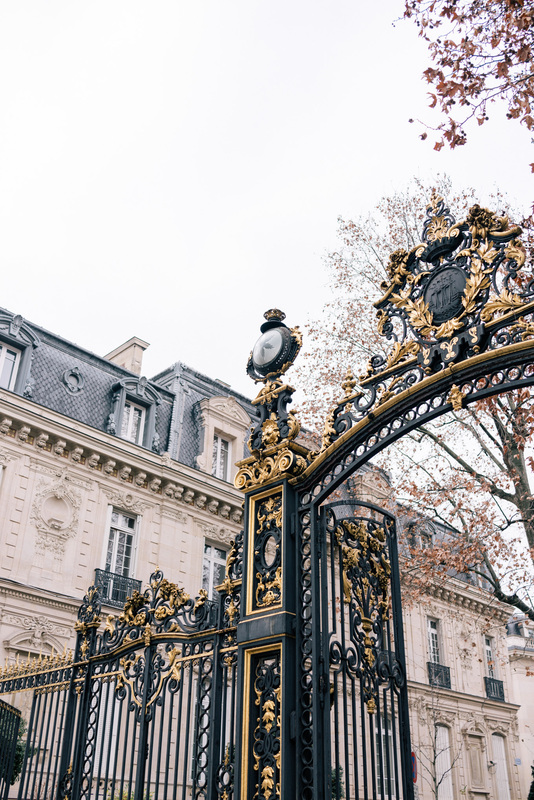 Parc Monceau– This is more of a residential neighborhood, but we love walking through the park, stopping at one of the quieter cafes or just strolling the beautiful streets. 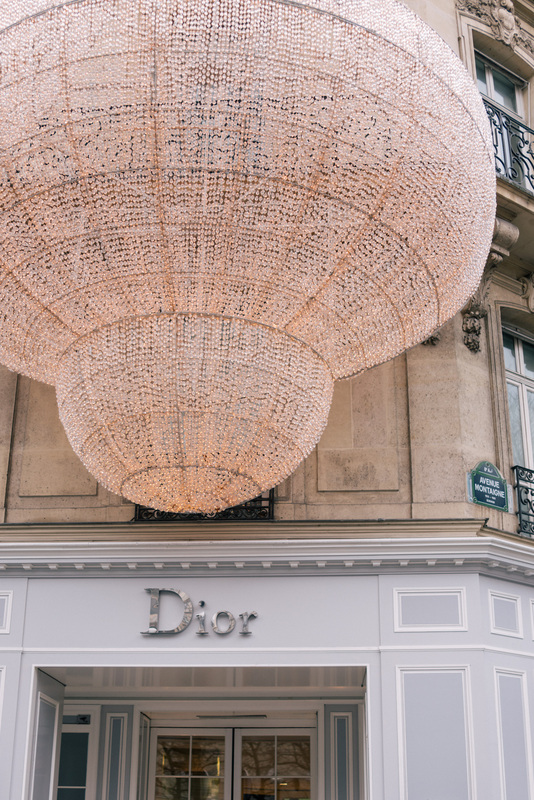 1 Arr– We also spend a lot of time in this neighborhood since it has The Louve, Musée d’Orsay, Palais Royal and Tuileries Palace. You could argue that there’s no better city in the world for food but especially in a city this big, there’s no guarantee of a great meal if you don’t choose your restaurants wisely. We’ve put together a list of everything from high end restaurants to cafes and falafel shops. Before our last trip, we looked to our great friends Rose (she writes the wonderful blog, The Londoner) and her boyfriend for recommendations. They honestly have the best taste in restaurants and never let us down with a recommendation! There’s so much to do in Paris that narrowing this list down to a reasonable level that most people can achieve on a single trip is almost impossible. A lot of our activities revolve around whatever neighborhood we decided to spend the most time in for that day. We love walking and just exploring and Paris is the perfect place for that. You’ll never know what you might find! Eiffel Tower- You are sure not to miss a site of the Eiffel Tower while you are in Paris, but our favorite spots for Tower viewing are Pont de Bir-Hakeim, Avenue de Camoens and of course, Trocadéro. Paris is always a good idea! Paris est toujours une bonne idée! Where did you get that baby blue & brown faux fur collar from? It’s so gorgeous!! Thank you for some of these Hotel recommendations and food spots! I’ve been to Paris a lot but I am always keen to find out more places to try. I’ve not been in Winter yet, I often wondered what it is like. Beautiful photos. Oh, Paris is always so charming! I really recommend the area that surrounds Canal Saint Martin. It’s fantastic, even more when the weather is nice and everyone is sitting along the canal enjoying the weather (and some wine!.There is this little Cambodian restaurant, Le cambodge, where you can enjoy the most delicious, exotic dinner. I also loved a bistro called Paris-London, located in Place de la Madeleine, so quintessential Parisienne! As I live in Paris, it’s so nice to see what are you favorites places! Great guide and beautiful photos! Marvellous pics! Love this city! So nice guide of Paris, I love your blue coat. I love this post. And Paris :) wonderful tips and I love the pictures! Next time I will stay longer and explore Montmartre and Saint Germain. Wow!!! Paris is truly a great idea any time of the year! Thank you for this great guide! Please share where your sparkly jumpsuit is from?? this is so awesome, bookmarking it for future reference. Thank you for this!! All your Parisan photos makes me want to go there now! Gorgeous and photos and a wonderful guide! Thanks for sharing! These photos capture Paris so beautifully! I’m absolutely dying to visit, and considering it’s so close to the UK I’m amazed I haven’t been already – one day! Thanks for the tips! I would love to plan a trip there at some point in the near future. Your pictures are beautiful! Such a helpful guide for Paris! This will be a great post to consult when we plan our trip! Lovely every single photo and advice. This is such a great guide! Thank you for putting together. I hope to use it with my hubs someday soon. 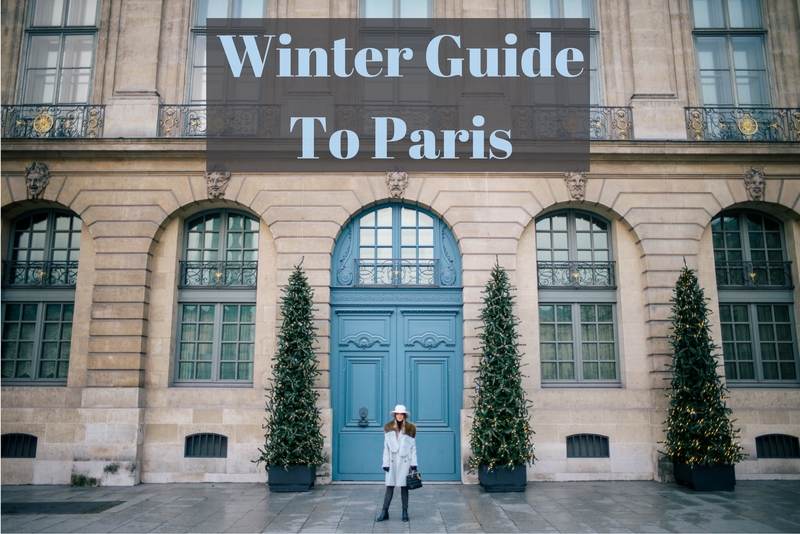 We are actually planning a trip to London and Paris in the winter so this was super helpful! All such gorgeous places to stay! Ugh – this post is so beautiful! 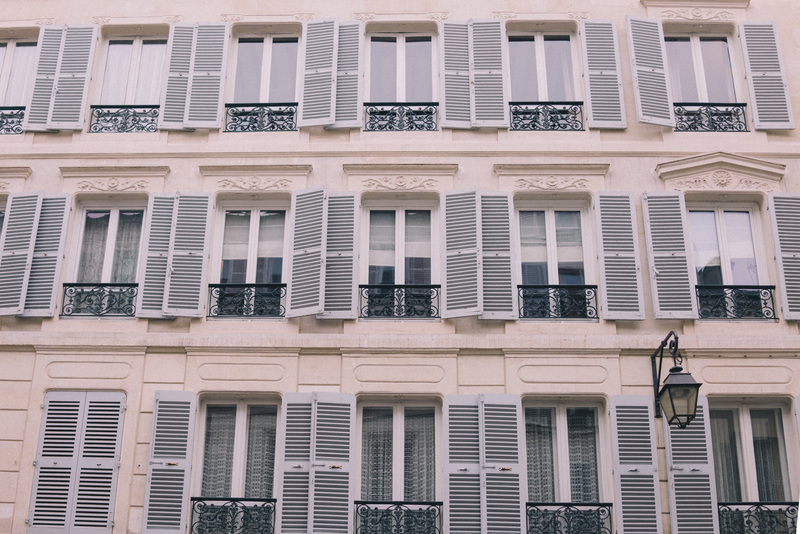 Every singly photo is gorgeous – I need to get to Paris ASAP! This is an amazing guide, and all of your photos are stunning! Can’t wait to make my next trip. You should check out the Musee de L’Orangerie next time! They have Claude Monet’s water lilies which are just breath-taking, they take up the whole wall. Paris is my all time favorite city, with Charleston coming in a close second! I need to get back to Paris ASAP! Beautiful pictures! I love the one in front of Meert, les gaufres are AMAZING there! Have you been to Canal Saint-Martin? My husband and I met while we were studying abroad- he in Paris and I in London- and we had our first date in Paris and ate at La Mere Catherine at Place de Tetre. So delicious and now quite touristy at lunchtime but very quaint at night with a French singer singing along with a piano. Since our study abroad 7 years ago, we have been to Paris together every year and stay in the Marais! Our favorite restaurant is Chez Mademoiselle on Rue Charlemagne. The owners Felix and Alex are the quintessential Parisian couple and will give you so many recommendations and be come quick friends. Their chocolate mousse is the best in the city, we go there every single night for dessert. I also recommend the Picasso Museum in the Marais if you like Picasso as well as the Rodin Museum, especially when Paris is in bloom. But really the best activity is to walk and get lost. :) Now, I have to start planning our next trip. Thanks for all of these recommendations! LOVE Candeleria – you should also try L’Avant Comptoir (small restaurant next door to Le Comptoir Du Relais) – I can’t go to Paris without stopping there. Lovely photos. Thanks so much for the recommendations. I hope to get to Paris soon and go to some of your suggested places! Musee D’Orsay is my fav too! Ignore my comment on your other post. :) So glad you put together this guide. I particularly like all the cafe suggestions! Hi can you post your outfit details for the look in the blue jacket! Thank you! We were both in Paris at the same time! Such a magical city!! Already dreaming of our return trip in March! Love your outfits for the trip! Would love links to everything you wore! This is a wonderful guide, I can’t wait to utilize your advice when I get the chance to visit! The architecture is so beautiful and historic! I hope I get to check Paris off my bucket list someday. This is amazing!!!! Thank you so much! Can’t wait to plan my trip to Paris!! Great guide. Good job. The last time I was in Paris with friends I stayed in St. Germain. Great location. We actually ventured out this time and went to Versailles. Great day – but it was crowded in the fall. Paris is such a fun city – can’t wait to go back again! This is AMAZING! Makes me want to jump on a plane to Paris right now! Excellent post, it’s great to have such an in-depth guide! Such a beautiful trip! I can’t wait to make my way back to Paris and maybe try One Fine Stay. Thanks for sharing! Absolutely love this!! Definitely will be bookmarking this for the next time I go to Paris! Beautiful pictures!! Love this post! Definitely inspiring me for my next trip to Paris. Julia, where is that beautiful navy coat from? I love it! Oh my gosh Julia – so happy you posted this. I am heading to Paris mid-February and starting to plan my trip now… so helpful! Love love this post guys! My husband and I are always back and forth to Paris too, we can’t stay away! Great to have some new insights and recommendations from you guys too, thanks for sharing. This is a great guide for my lovely city. All those places are wonderful and the photography excellent. Great job love! Thanks for sharing! There is always so much to do so I love having other people’s recommendations! Ah this post made me so nostalgic! First of all, D’Orsay is also my favorite, in the world even. Second, when I lived in Paris Monceau was my neighborhood, I loved reading how you fell in love with the spot as well! It’s so cozy and quiet, and I feel like you can breath as you are finally away from the crowds. Next time you’re in town, check out Rue de Levis, it’s the street I used to live on and sells the most amazing food from little vendors. Also, if you need a nice cafe, Cafe Dome by the metro stop Villiers was also an absolute favorite of mine. Really enjoy your travel guides. They are beautifully photographed and detailed. Some day I hope to travel to Paris and will be sure to reference back to this post. This is so helpful! I’m visiting in March and I am so excited! Love this! So informative and the photos are beautiful! I just love Paris!! All times of year, all times of day. You’ve captured it beautifully. I will be sure to check out some of your recommendations next time I’m in the City of Lights! This is everything I was looking for! Your recommendations look fantastic, thank you so much! I’ll definitely be hitting up some of these spots on my next trip to Paris, hopefully soon. This is a great guide and the photos are so pretty. Yes, Rue Montorgueil is a treasure! I love Paris! I wanna go again! I’m mesmerized by these beautiful photos! Wow! Very inspirational! This is so beautiful! I want to go to Paris so badly! Great post! I am heading there very soon as well! Just curious how you managed to pack so many different coats (in particular, and outfits in general). Big things like coats and boots are pretty bulky and I’m not sure how to fit them all! Such a gorgeous post, everywhere looks so beautiful – I wish I was in Paris right now, jealous ! All of your outfits are spectacular by the way, so, so chic <3 I will be sure to come back to this post if I ever visit, thanks so much ! Beautiful! Makes me miss Paris even more than I already was. Looks like it was a grand trip! It’s a great guide, thanks Julia! Last time I was in Paris I went to Ralph Lauren’s restaurant in Saint Germain and loved it, it instantly became our favorite restaurant in Paris. This trip looks so dreamy! I love all the shots you took and the gorgeous views you were able to capture! I can’t wait to put your recommendations into use! Reading this post and looking at the dreamy photos takes me back to when we were there in September for the first time! We absolutely fell in love with the city. Before we went a lot of people said it was overrated and dirty, but we didn’t find that at all. 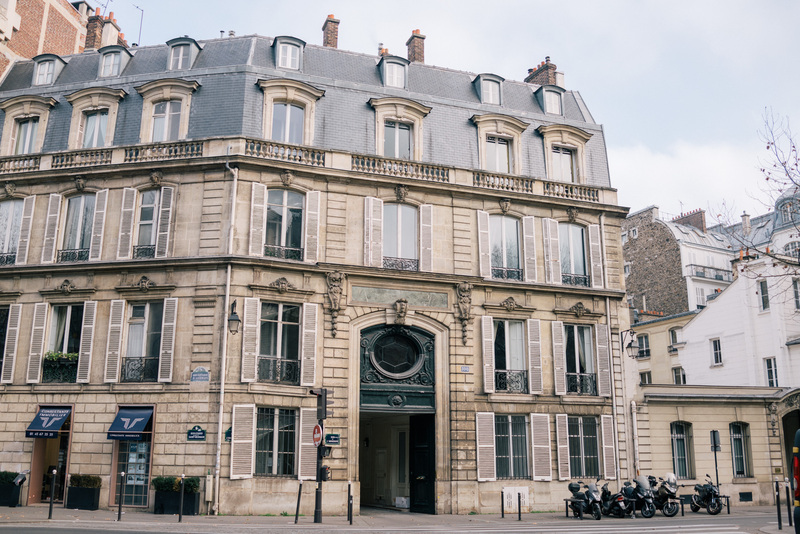 We stayed in Le Marais, which you recommended as well and I thought it was the best! Can’t wait to check out some of the restaurants you recommended when we go back one day! The pictures are amazing! I love all of your outfits. Beautiful post. Makes me want to visit Paris even more. I went to Paris this past August and took an evening bike tour with Paris Charms & Secrets. I could not recommend it enough! I was cold & my guide literally gave me the jacket off his back. It was amazing to find little winding alleys and the oldest cafe in Paris (Le Procope) – which still has Napolean’s hat he once used as payment for eating there and Marie Antoinette’s last letter before she was killed. We ended up eating at Le Procope and it was delicious. See website below for the bike tour! Do you have a recommendations post for the spring time? My husband and I are visiting for the first time in late March and couldn’t be more excited! Your Parisian trips always look fantastic, thank you so much for making a guide! My husband and I are considering a trip to France later this year, and I’m dying to visit Paris with him. I’ve been before (years ago) but he never has. This is absolutely beautiful! I hate hearing so many negative things about Paris! This inspires me so much! My husband & I are planning a trip to Europe soon and I definitely wanted to spend quite a bit of time there! Thanks for all the tips! I think I need 30 minutes to go over this post. The photos are beautiful and your recommendations are ALWAYS perfect. A few months ago you mentioned the Carneros Inn in Napa and I am booking that location soon. Thank you! Everything is so beautiful (and delicious looking)! Where is the emoji with the “I wish I were here” face?? Simply can’t get over how beautiful all of these pictures are! I love your blue and brown color blocked coat! All of these places look and sound amazing! I would love to visit Paris during the winter – it is definitely on my bucket list! I saw on your insta story that you went to an incredible china shop! Do you remember the name by chance? Lovely! Thank you for sharing about this. I have been to Paris a couple of times already, but it begs another visit, as it’s been a while. I especially like the idea of renting such a lovely apartment, instead of staying in a hotel, so thank you for that information. Happy New Year! Thank you, thank you! We planning a trip for Paris a few years from now and I’m excited to have this post to reference. I love your travel itineraries! We just returned from Dunton, CO which got put on our travel list after seeing it on your blog. It was amazing! Loving it! Makes me feel like I’m there! Ahhhh! Winter in Par’is. Timing could not be more perfect! Heading to Paris in less than a month for the first time! Thank you for your recommendations!! Thank you so much for sharing this super thorough guide! <3 :) I've always wanted to visit Paris, but I've always been a little hesitant because I don't really know my way around. This guide is super helpful, and I know I'll definitely be referring back to it if I ever do visit! <3 Such magical photos, btw! 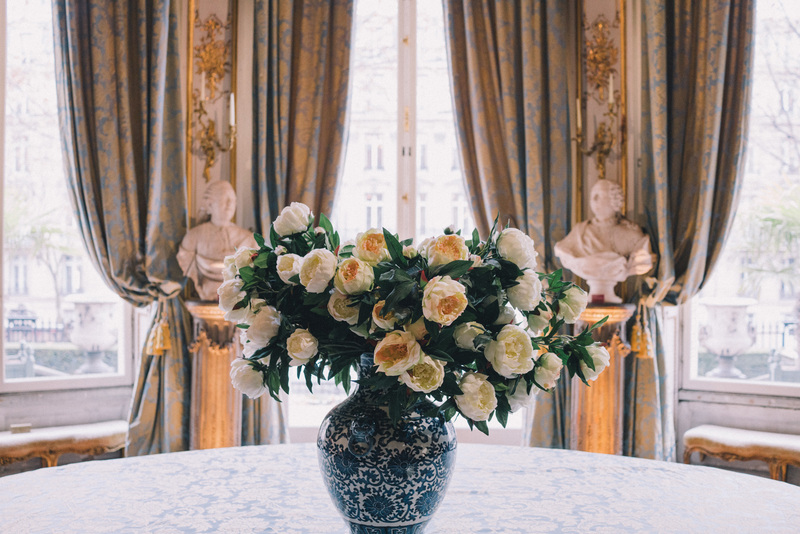 There's always something so elegant about Paris, don't you think? You captured winter in Paris perfectly. I´ve been there several times during the colder months and I loved it! Nice recommendations if you have a lot of money to spend or you want to be incessantly stuck in tourist traps with the rest of the visitors doing the exact same thing you are doing. Paris is picturesque no doubt–one of the most beautiful cities in the entire world. But why do bloggers only skim the surface? They see, digest, and then regurgitate what a multitude of other bloggers are posting. Where’s the joy in that? Cookie-cutter shots, tired vantage points, and the same old hum-drum. No insight whatsoever. Dig deeper, don’t be a cliché. C’est un voyage palpitant, mais vraiment épuisant. This post is awesome! Can’t wait to know Paris! Such a wonderful travel post, Julia. I’ll definitely be saving this one! This is probably one of my favorite posts! I love Paris, and will be returning there in May and I can’t wait to go to some of the cafés and parks you recommended! Thank you for sharing! I love Paris! We were just there again in October and I never get tired of being there. Stunning, where is the gold dress from?? Love this guide! I just booked a mother/daughter trip for end of March and we’ve gotten an apartment through Paris Perfect near the Eiffel Tower. Can’t wait! Next I need all your outfit details! I love Paris and I hope tp go their someday! This was very helpful! Thank you! Where are your loafers from? They are so beautiful! Need! I also love your NYE outfit – is it a jumpsuit? Any details on that and where to find a similar pretty vintage Chanel necklace? What a Wonderful guide!!! So beutiful. We are soon going to NYC ( in March) .I would Love something similar /guide for NYC. have you Done any NYCguide in the past? I haven’t had an official guide, but I definitely want to work on getting one up! Thank you! Yes, it’s a jumpsuit by Temperley London that I scored on sale last year. I found the necklace in a vintage shop in Paris but you can probably find a similar one online at sites like The RealReal or Ebay. Loving all your photos and recommendations! Makes me want to go back to Paris so much! Winter is such a great time to visit Paris. The trees are bare and you can see more of the city. There are less tourists too which can make a big difference as you navigate through the city. It looks like you had a great trip! Oh my god! I’m so in love with this post! What an awesome guide! I can’t imagine that Paris isn’t on anyone’s bucket list and now I want to go even more!! One of my favorite photo spots is the coffee shop on the rooftop of the Printemps department store! We rented an apartment on the Ile de la cite for a month. Great central location and gave us the option of eating out or in. Loving this blog post! I’ll have to check out the vintage stores you mentioned. I was wondering what type of camera you use? Your shots are beautiful. Fantastic pictures! Paris is very beautiful! can you please do a- how you edit your photos! You guys are all soooo cut, and Paris-even cuter!! Holybelly has the BEST brunch in Paris. I’m also a big fan of Ober Mama for a nouveau French flair! Le Compass is a great spot for cafe culture as is Le Hibou (which I HOPE you went to!) Lastly, if you haven’t been to Ob-La-Di for coffee and pictures, then you’re missing out! Oh, I miss Paris! Love this! Paris is on my bucket list- I would love to travel there! Hi ! The French that I am allows herself just to tell you about the “r” that you forgot on “Le Louvre” and “Montmartre”, just a little detail that I wanted to mention ! But the article is a really great way to give ideas to tourists who want to visit Paris ! Where is the very first photo in this post?? With the 2 pink chairs, chandelier, and large mirror?? Hello :) I loved this post, full of great tips! I can tell how much effort went into it. Just a quick question- what filter is on these photos? is it from VSCO cam? I love it so much! I went to Paris this past summer and it was completely amazing, but I was there during the floods so I didn’t get to explore much outside which was a real bummer. My absolute favorite place was the Musee d’Orangerie a relatively small museum across the street from Musee d’Orsay, it is where many of Monet’s paintings are and it was just breathtaking. I could spend hours looking at the paintings. If you’re in Paris for any length of time I cannot suggest this museum enough. I would love to get your picks for summer in Paris ! I’m going for my 30th and know you’d have some great recommendations! Specifically, looking for tips in June! Where are the cute tan lace up pointed toe oxford looking shoes from in the pic of you and your two girl friends? Wonderful suggestions! How about a What to Pack for Paris post with outfit suggestions?! Love your style and would love some tips!